An adviser to Rep. Alexandria Ocasio-Cortez (D-N.Y.) on Friday night fact-checked Fox News' Tucker Carlson to his face for peddling falsehoods about the Green New Deal being proposed by left-leaning Democrats. Carlson noted that the deal proposes "building out high-speed rail at a scale where air travel would stop becoming necessary." Hockett replied it was "apparently being misunderstood, right? We are really talking about expanding optionality here, we are not talking about getting rid of anything, right?" "We are talking about basically making it cost-effective to move into more modern forms of technology, more modern forms of production, which would then enable people actually cost-effectively to transition to that stuff," Hockett added. "We are not talking about requiring anything or prohibiting anything. That's sort of 1980s-style environmentalism." Hockett explained how the aim was really to obtain carbon neutrality. 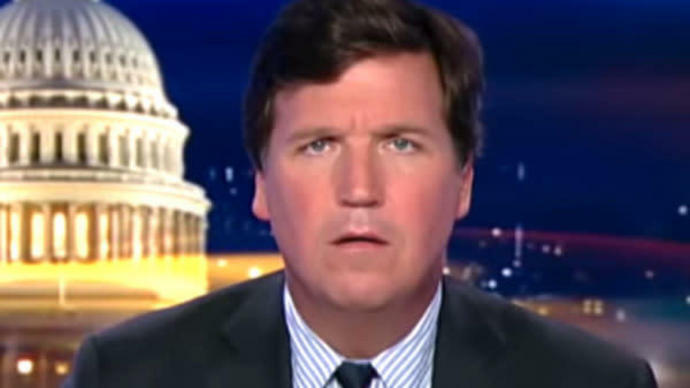 "Then good, then I'm glad, it's nice to have a smart person on the show to explain this," Carlson replied, in a tone that some people on social media have suggested was sarcastic.